Okay so what are Micellar Water’s - micellar water is made up of micelles which are tiny balls of cleansing oil molecules suspended in soft water and the science is that micelles are attracted to dirt and oil, so they are able to draw out impurities without drying out the skin. So micellar water can be used as a facial wash, makeup remover and moisturizer all in one and it’s not harsh or drying and is really a multitasker for the face. Take the expert´s shortcut to a simpler skincare routine with By Terry Micellar Water Cleanser, a facial cleanser that effectively removes makeup at the end of the day. 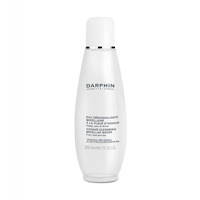 This cleanser helps those with busy schedules maintain good skincare habits. By Terry Micellar Water Cleanser contains luxurious essential oils that work to hydrate, clean and soften the skin quickly and naturally. Enriched with rose native cells, this product removes all makeup, even in the most resistant facial areas, and gently sweeps away all other dirt and impurities. After use, the skin is left with a light, comfortable feeling and a fresh, delectable fragrance. Even the most sensitive skin is left refreshed, clarified and enriched in a soothing one-step routine that suits any lifestyle. 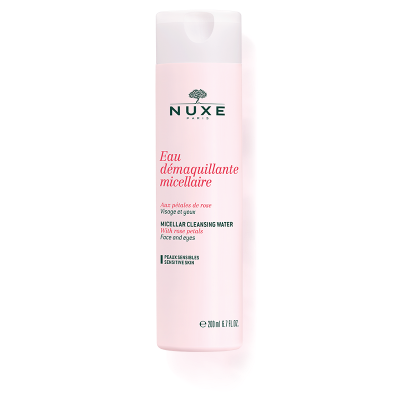 This mild but effective 3 in 1 cleanser with Neroli essential oil and natural Bisabolol cleanses, tones, removes face and eye makeup as well as impurities as it softens and refreshes. A new-generation micellar water that offers a powerful makeup removal and a fresh, comforting texture. Infused with Echinacea flower extract and powerful micelles, it removes makeup from the complexion; the skin looks perfectly clean. 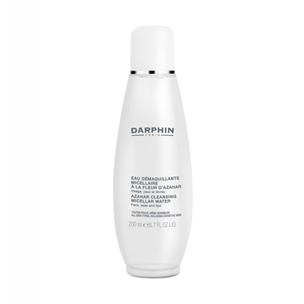 Fresh and soft, the skin looks more radiant and appears naturally beautiful. Enjoy the delicate touch of the PAYOT Sensi Expert Eau Dermo-Micellaire - Soothing Cleansing Water, an everyday micellar cleanser for sensitive and reactive skin. Infused with soft cleansing agents, the PAYOT Sensi Expert Eau Dermo-Micellaire - Soothing Cleansing Water gently lifts away the day without causing irritation. The transparent water is fragrance-free and soothing upon application, lifting away impurities and makeup, whilst respecting the needs of intolerant skin types. Keep imperfection-prone skin cleansed and purified with the Bioderma Sébium H2O Micelle Solution Reverse Pump, a non-rinse micellar water cleanser. The coveted Bioderma Sébium H2O solution is now available with a reverse pump, helping to make your cleansing routine easier than ever before. Specifically formulated for combination to oily skin, the soap-free, non-comedogenic formula can be used on the face and body to deeply cleanse the skin and improve the quality of sebum production with the patented Fluidactiv® complex. 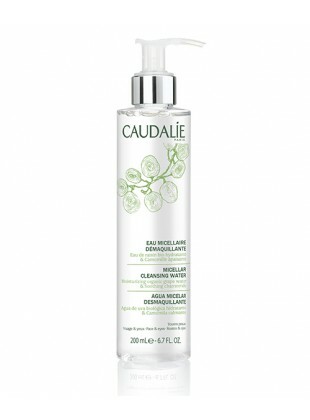 This refreshing daily-use micellar water cleanses and removes make-up from the face and eyes in one single step. Suitable for even the most sensitive skin types, the gentle, soap-free formula is made up of 98% naturally derived ingredients that respect the skin's natural pH balance. Infused with soothing chamomile and moisturising grape water, comfort is restored, whilst micelles trap and lift impurities from the skin surface to leave skin clear and ready for the next stages of your skincare routine.